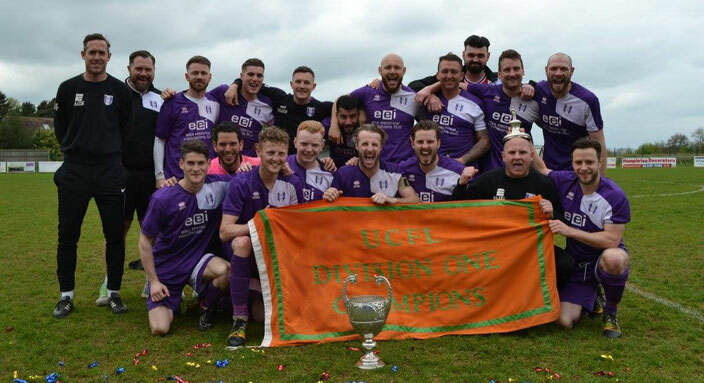 Daventry Town could be crowned United Counties League Premier Division champions on Saturday afternoon for the first time in 9 years. A bumper crowd is expected at Elderstubbs for the Purple Army’s clash against Peterborough Northern Star, a match which could decide this season’s Premier Division. For if Arron Parkinson’s team wins, and nearest rivals Deeping Ranger drop a point at home to Harborough Town, Daventry will have won the league. Daventry have an excellent record against Northern Star in recent seasons, and have won the last two at Elderstubbs. The two teams also met in the league on Novmber 17 at Chesnut Aveune, with Luke Emery and Jordan Orosz rescuing a 1-2 victory for Daventry.